The whole and raw vitamins from plant sources like vitamins found in fresh fruits and vegetables are whole and considered live. These are what your body craves for optimal wellness. These are live-sourced plant substances that provide necessary nutriments and have been very minimally processed. 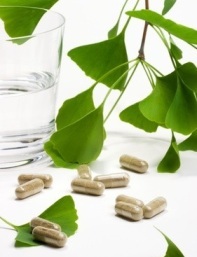 To learn about the presently poplar “raw vitamins,” it’s good to know a bit about the history of vitamins. Vitamins in vegetables, especially raw vegetables, and in raw fruits have always been the best sources of vitamins. For centuries, people knew the correlation between eating good foods and good health. They were getting their vitamins and those vitamins were natural, whole, live and raw. These whole and living vitamins are far different from the synthetic or dead vitamins. To learn more about fake vitamins and natural vitamins (I call them raw) see Vitamin and Mineral informtiaon and for even more info see this article by Dr. Ben Kim: Synthetic vs. Natural Vitamins. Give your body raw, living, whole, vitamins and it will thank you! Experience wellness in the raw!